One of the best things about my job is having the opportunity to test out products, but the part I love most is sharing and connecting with my readers and knowing you guys value my input! These past couple of months I've been testing out so many cosmetics, and skin care products you would not believe how high my PR stack is and let me tell you that my skin has definitely been feeling it! I needed a skin detox ASAP. I came across the company Muddy Body on Instagram, like I do most things and of course I just had test it! I really felt my skin needed a deep cleaning and opted for the detox clay mask. The order came a few days later and I was ready to try it! It's super simple, all you have to do is mix some of the powder with a little water. Then you brush on the clay mask and let it dry for 10-15 minutes. Then you rinse it off. Tip: I had a warm wet towel on my face prior to putting on the clay mask to assure that it would get into all my pores, especially on my nose (aka my biggest problem area). You will feel all the gunk the mask pulls out on your hands! It's amazing and a little gross! If you've seen my Instagram, Instastories or my Snapchat then you already know I've been feeling' this mask these past couple of weeks. I use it at least once a week, twice if my skin really feels gunky (like after Halloween0! I really think it does an amazing job at unclogging my pores and it always leaves my face feeling clean and super smooth. The best part, for me at least, is that Muddy Body uses 100% natural ingredients, it's vegan and cruelty free! 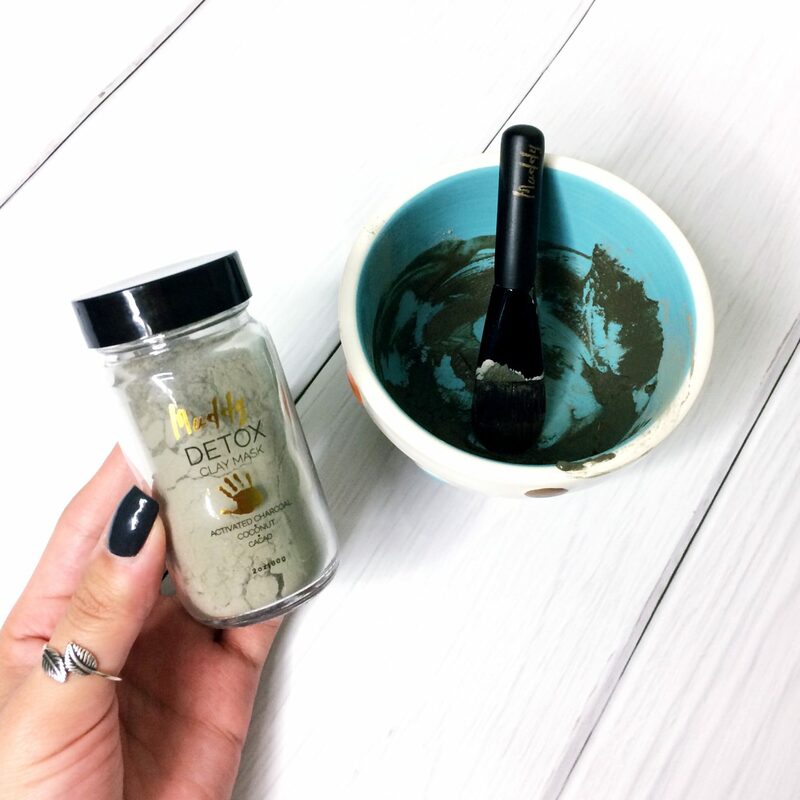 If you're looking for a deep skin detox then I definitely recommend you try Muddy Body. They also have other masks, which I will definitely be trying out next! P.S. Check out my video on Youtube and watch me apply the mask!